Once upon a time, there was this publishing house called Raduga Publishers. The Progress / Raduga Publishers was a Moscow-based Soviet publishing house founded in 1931. It specialised on output of the books translated into foreign languages. 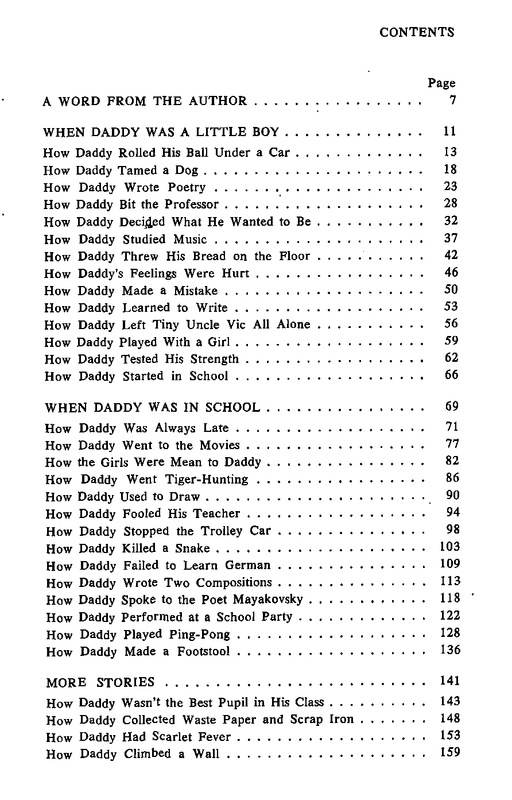 The children's literature was only a part of its production. They also published scientific, arts, political books, books for people studying foreign languages, guidebooks and photographic albums. [...] The Progress Publishers stopped the existence after dissolution of the Soviet Union. If you go on to that link, you can see some of the covers of the books they put out - they look quite delightful. A big part of my childhood was reading, and one of my most cherished books of that time was this hardbound collection of stories called "When Daddy Was a Little Boy" by Alexander Raskin (originally in Russian, and translated into English by Fainna Glagoleva). Here you have a 10-year-old's review, which tells you everything you need to know about the book, really. But sadly, pretty much every book put out by Raduga is out of print. The only copies exist in the hands of a few people lucky enough to come across those books, and amidst library collections. I managed to find a scanned PDF from a library website, and intend to transcribe it into a document with the original images/artwork and put it someplace for download. This experience has given me a renewed respect for Google's book-scanning efforts, and I'd like to - in my own humble way - tell all the publishers that opposed this: You all are giant, flaming idiots. Let there be a way for the books to live on long after you're dead and buried. To give you a taste of what the book is like, here are some of the initial images, and the author's foreword. I want to tell you about how I came to write this book. I have a daughter named Sasha. She's a big girl now and often says, when speaking about herself, "When I was a little girl –" Well, when Sasha was a very little girl, she was often ill. She had the grippe, and a sore throat, and an infected ear. If you've ever had an infected ear, you know how painful it is. And if you haven't, there's no use explaining, for you'll never understand anyway. One Sasha's ear hurt so badly that she cried and cried. She couldn't sleep at all. I felt so sorry for her that I nearly cried, too. And so I read aloud to her and told her funny stories. I told her a story about the time I rolled my new ball under a car when I was a little boy. Sasha liked the story. She was surprised to learn that her daddy had once been a little boy, and that he'd gotten into mischief and had also been punished sometimes. She remembered the story, and whenever her ear would begin to ache, she'd shout: "Daddy! Daddy! MY ear aches! Tell me a story about you when you were a little boy." And each time I'd tell her a new story. You'll find them all in this book. I tried to remember all the funny things that had ever happened to me, because I wanted to make a sick girl smile. Besides, I wanted to my girl to understand that being greedy, boastful, or stuck-up wasn't nice at all. That doesn't mean I was always like that when I was a little boy. Sometimes, when I couldn't think of a story, I'd borrow one from other daddies I knew. After all, every daddy was once a little boy. So you see, none of these stories were invented. They all actually happened to little boys. Now that Sasha is a big girl, she's hardly ever ill and can read great big books all by herself. But I thought that perhaps other children might like to know about a daddy and the things that happened to him when he was a little boy. That's all I wanted to say. But wait! There's something else. There's more to this book. 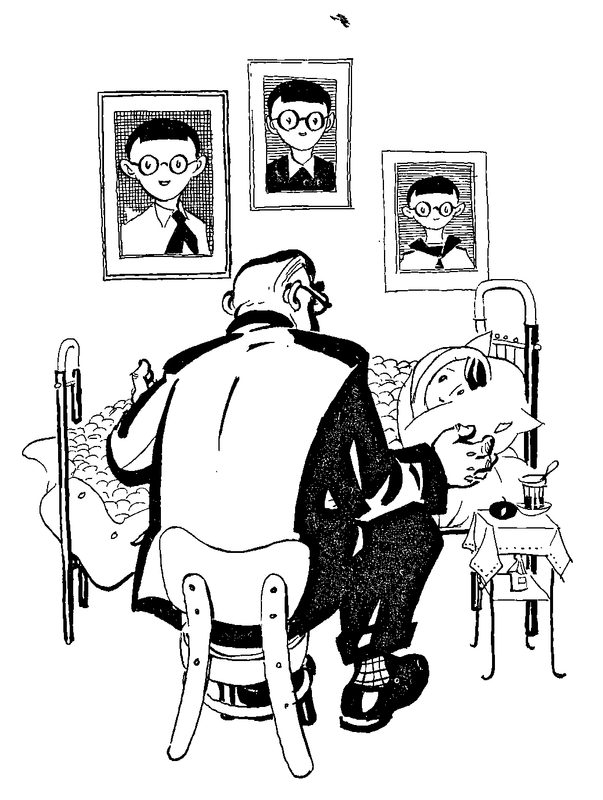 Each one of you can discover the rest for yourself, for your own daddy can tell you about things that happened to him when he was a little boy. And so can your mommy. I'd love to hear their stories, too. Who wouldn't want to read the book after all that? And since it's only about 160ish pages, it only takes about an hour to read. I can use these reading credits to offset a similar amount of time wasted on frivolity like Jonathan Livingston Seagull. 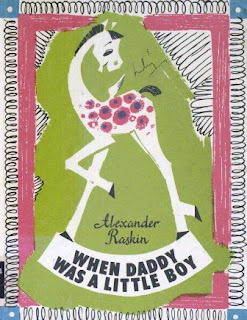 I really would love to have a copy of this book...even a color copy...These (Progress/Raduga/Moscow) publishers enriched our lives 20-25 years back. I wish if I could .. Awesome Idea! I second the though, So many innocent causes have turned into profit eating machines, Hope you can upload all of the book, Soon. Thanks and Nice Blog! Thanks folks - I've decided to not transcribe and instead just strip the watermark from the PDF and upload it here. Should be completed in about a week's time! I was searching for this book for long and ended my search here. Can you please share the PDF version of this book. Hello. I was googling this book title and came here. I would like to get a copy of the PDF. Let me know how. Thanks in advance. I have read this book when I was small... today after 15-20 years... having been married and lost my father.. I happen to remember the book. Oh My God ! You have reminded me of a book long forgotten and the one that I had really enjoyed when I was small! Thank You!!!! I have no idea when you wrote this blog.. i was looking for this and stumbled upon this site. I thank you from the bottom of my heart for writing this.. I was 6 yrs old when my mom got me and my sister this book. Green color.. exactly what you have in your picture. I must have read it atleast a 1000 times. My sister wanted to ensure that every child in our family gets to read this.. u know.. jus a part of growing up.. and she passed it on to my cousins.. i have no idea where it is now. Am living some 10000 miles away from home and everyone in my family is scattered.. i have had a terrible personal life and every nite when i hit bed i think of the days i spent as a kid under the blanket with a small torch lite reading this very book and falling asleep. I desperately longed to buy this book or get it online to no avail. All in the hope that i cud relive my childhood and fall asleep without thinkin about anything. I think i will tonight. Fall asleep without any issues. Jus seeing that green cover has bought tears to my eyes. I have no idea what you will think of me.. or what others may comment on my comment.. but i don think right now i care. Havent felt this happy in ages now. Thanks a lot for ur remarkable work. Actually when i was little, I used to spend most of my times in read these kinda books..
Toll Free Numbers to provide a way for their clients and potential clients to call them at no charge. As the telecommunications and telecommunications hardware market has become more sophisticated, this service has taken on an expanded and altered role. Dear blogger , its indeed a dream come true to be able to read this WONDERFUL book due to your sincere endeavours.You really deserve a standing ovation. I have with me the firebird ..........and the fisherman.....2 books.I wish someone would tell me how to share them here.